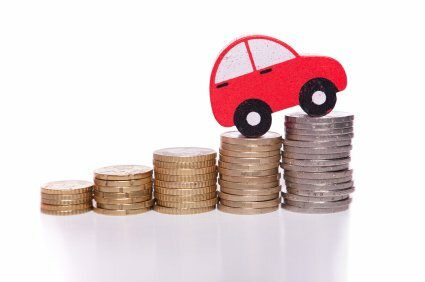 Do you have a car that you’re thinking of selling? Are you debating whether you should be hiring a car removal company to help you through this time? There’s no wonder why; after all, car removal companies are popular and a sound choice for ridding yourself of old vehicles and getting some cash in return. Below, we’ve written a complete guide that will provide you with questions to ask yourself before you decide to hire a car removal company. For more information, keep reading. If you have a car that you’re thinking of selling, you may want to make sure that you have another car as a backup plan. That’s because you’ll probably have to drive somewhere at some point in the future, and you’ll need to plan for this accordingly. A solution is to use the money you make from this sale to buy another car; however, it can take days or weeks to receive this new car. You may want to consider renting out another car if you don’t have a backup plan. This is one of the main reasons why people decide to sell their cars. When a car gets older, it begins to break down and even after several trips to the garage, there always appears to be something broken. In the long run, this car could be costing you more money than it’s worth. Not only this, but we understand that sometimes life changes and you have to get a large amount of money in a short amount of time. If you need money quickly, selling your car to a car removal company might be one of your best solutions. That said, you may not want to sacrifice your only source of transportation to make money. You can use some of the money Cash4Cars Melbourne Vic gives you to hire or buy another one so that your needs are met. There are many benefits when you use a car removal company. Among them is the environmental benefits. Cash4Cars Melbourne Vic attempts to recycle and reuse as much of your car as possible. If you’re a person who prioritises the environment and you have a car that you know needs to be disposed of, you may be considering a car removal company. By recycling your car, car removal companies ensure that more parts don’t need to be produced; thereby, cutting down on the pollution that’s caused by production. You’ll also be preventing your car from ending up in a junkyard; therefore, you can be certain that you won’t be causing heavy metal pollution. When your car is touched by rain, heavy metals are released into water streams and contribute to water pollution and water scarcity. When your car parts are recycled, less car parts are left in these junkyard and less heavy metals flow into water streams. Many people have cars that are left in their driveways or in their backyards. When this happens, the car is simply taking up space and isn’t serving you or your household. If you’re in this situation, you may be considering a car removal company to help you through the process. Before you decide to sell your car, you should ask yourself whether you need money, whether you have a backup plan, and whether your priorities are in check. If you have questions that need to be answered before you sell your car to a removal company, feel free to contact us today.